Use these ladybugs as templates for your own project! is just one of the hundreds of adoptable greyhounds to be found throughout the country. Given that Florida has recently outlawed greyhound racing effective by the end of 2020, there are no shortage of adoptable dogs. 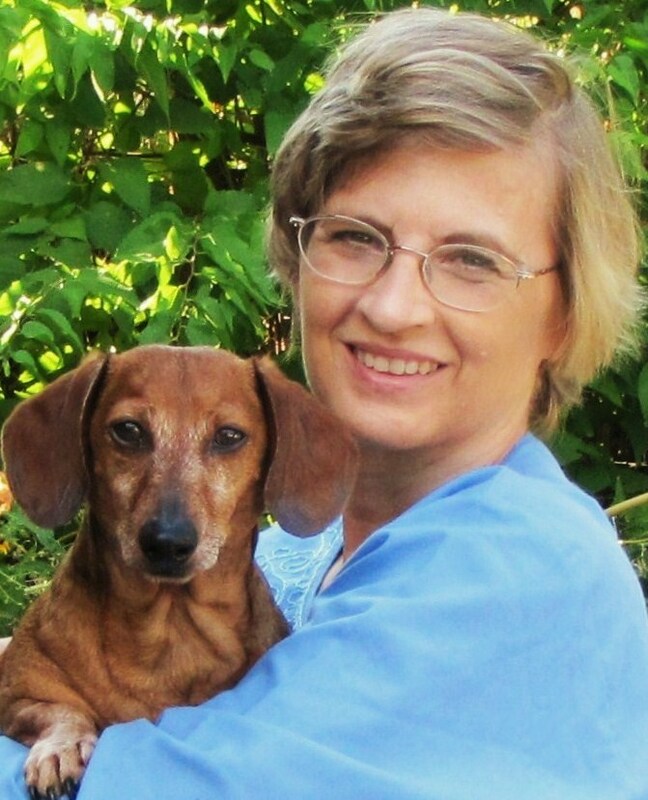 Sandy is being fostered by Greyt Angels in northern Indiana. The Vernal Equinox has come and gone, not that you could tell given the cold, rainy, dreary weather in my corner of the world. I know Spring and warmer weather is on the way but am feeling a little impatient for it to finally arrive. 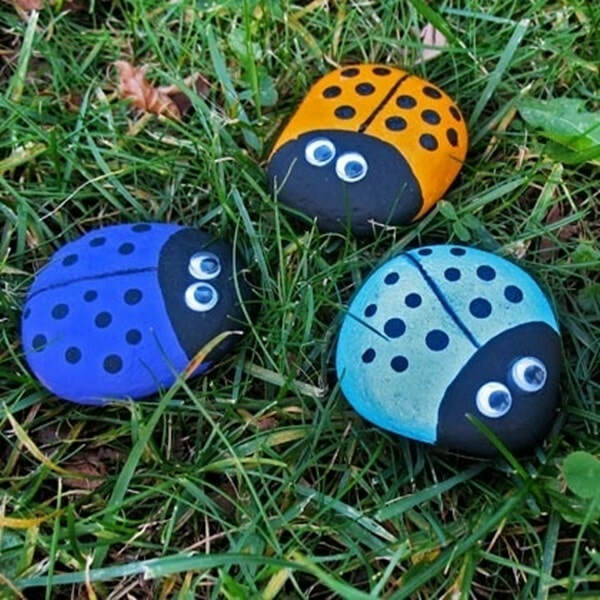 Ladybug, Lady Beetle, Ladybird….these colorful little beetles are known worldwide. A little known fact is that they come in a multitude of colors including red, orange, pink and yellow. Ladybugs have a long lifespan (as far as beetles are concerned) of two to three years and will gather together by the hundreds to hibernate under leaves, in tree crevices and in the eaves of houses. They are voracious eaters of pest insects such as aphids and have been used by farmers for many years to control crop-eating insects. Since each female ladybug lays 20-50 eggs each spring, there will be no shortage of the little bugs to protect our gardens. The little beetles received their current name in the Middle Ages. When pests began to eat all their crops, the European farmers prayed to the Blessed Mother Mary for assistance. Shortly thereafter, the orange bugs arrived, ate the invading insects and saved the crops. To the farmers, the beetles were answered prayers so they called the bugs ‘the beetles of Our Lady’…..which eventually became Ladybug. Because of this, Ladybeetles are considered to bring good luck. All of these items are readily available at any craft store. Choose round or oval rocks, give them a quick wash and set aside to dry. Check the photo at left for tips on how to paint your rocks. First apply black paint for the beetles head. Let dry. Then choose color for the beetle body, paint and let dry. Using handle end of paintbrush, dip in black paint and ‘dot’ spots on Ladybug’s back. Clean handle then dip in white paint and dot two ‘eyes’ on Ladybugs head. Let dry. Using a smaller paintbrush, dip handle end in black paint and apply one dot in each eye. When thoroughly dry and in a well ventilated area, apply protective spray to your beetles. When dry, they are now ready to place in your garden, flower pots or in a sunny windowsill. They are sure to bring a smile! April is also Adopt A Rescue Greyhound Month! I love these gentle, regal dogs! As with all pets, if you are interested in adding a greyhound to your family, read up on their needs to live a happy, healthy life. Greyt Angels, a rescue I wholeheartedly recommend, is located in northern Indiana. You can find their information filled website here. 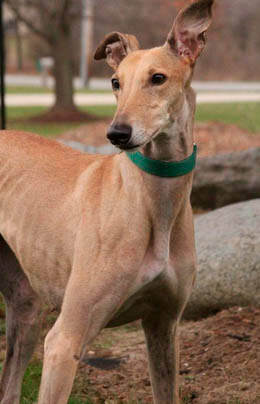 And check out adorable Sandy, a greyhound currently available for adoption! Not able to adopt? Donations are always welcome! Have a wonderful Spring! ‘See’ you next month!